In the field of dental medicine, particularly in modern implant technology, absolute fitting accuracy, hygiene and biocompatibility of the used medical technology materials takes top priority. These factors are vital to the achievement of long-term implant success and patient satisfaction. 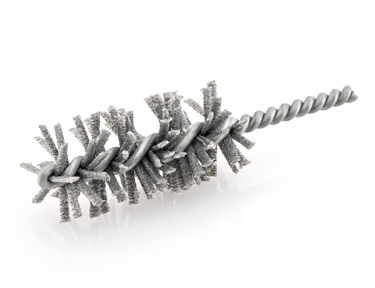 To clean threads in screw-shaped tooth implants made of titanium or ceramic, our mini pipe brushes are used. 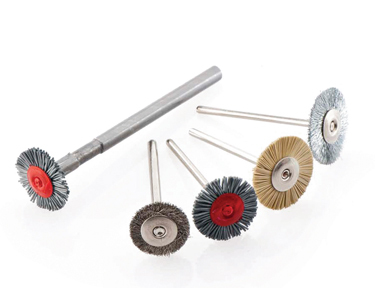 These clean the thread of implant bodies, implant structures and crowns, ensuring the utmost reliability, precision and cleanliness of the brushes used. For optimum fitting accuracy of the thread and stable, secure implant connections. 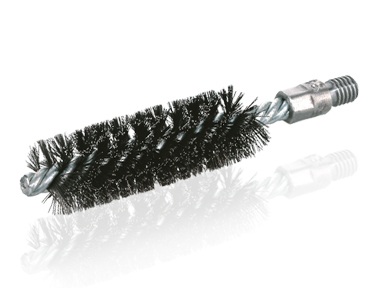 Tube cleaning brushes are another type of twisted in brushes manufactured specifically for cleaning the inside of pipes for rust removal, cleaning and descaling operations. 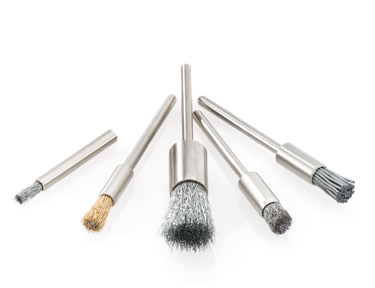 They are used predominantly for manual machining and in flexible shafts as well as stationary machines. Ideally suited for deburring O-ring recesses, boreholes, for cleaning, smoothing and rust removal. For smoothing, cleaning casting seams and rubber-to-metal parts, for deburring. Rust removal, paint stripping. For working in difficult-to-access areas such as corners, boreholes and recesses.